The National pony show is an annual event where there are about 420 ponies from 7 different breeds, including pony-sized finnhorses, in one weekend. This show has been arranged in Vermo, Espoo for the last 10 years, so it has got a nickname of “Vermo’s pony show”. 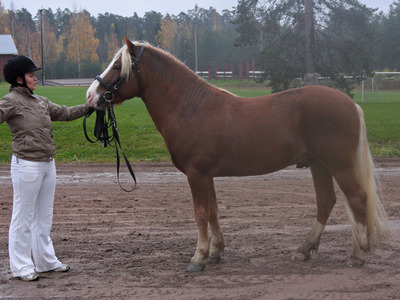 Categories: Breeding & pedigrees, Pony-sized horses | Tags: breeding, finnhorse, finnpony | Permalink.